Recently, several Money Girl Podcast listeners asked for help with serious money problems in their relationship. So, I interviewed two money and relationship experts and authors. 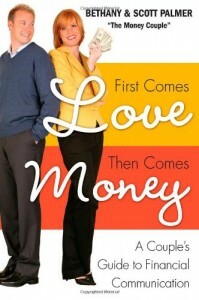 Bethany and Scott Palmer (who are married) wrote a terrific book, First Comes Love, Then Comes Money. In our conversation the Palmers give lots of tips and techniques couples can use to radically improve their financial lives and become closer as a couple. Couples and Money Interview – Click Here to Listen!